That will transfer all the sketch lines from the Drawing to the Part sketch. You'll have much more flexibility in working with the sketch here. When finished you can insert a drawing view of the Part in your Drawing and show the sketch.... To add the Insertion Point, simply expand the menu item, this will make the insertion origin show in the graphics area. You can then drag the Insertion Point to the spot you would like to use. Then click the green check to accept. Right-click on the Sketch Shortcut Bar and choose “Customize…” In the Customize dialog box, choose the "Toolbars" dropdown and select "Features" from the list. Drag and drop the "Extruded Boss/Base" icon right onto your Sketch Shortcut Bar.... Regarding the line sketch, I based my pictures on your pictures; I thought you already had labeled axes in the base plate of your drawing. 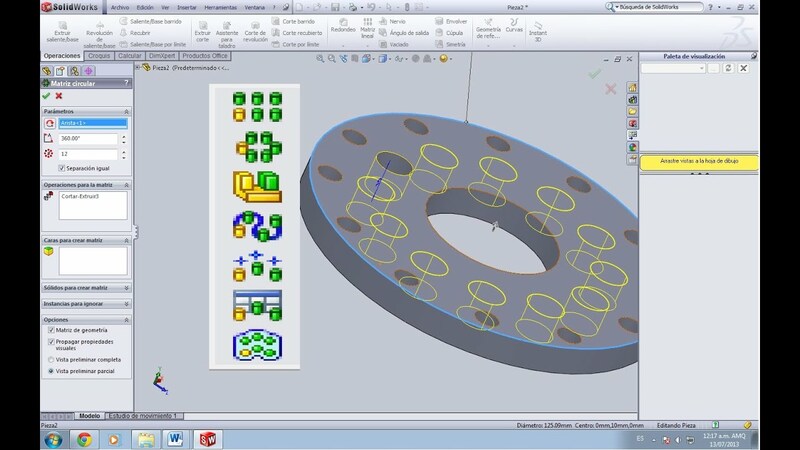 – Chuck ♦ Feb 17 '16 at 20:57 That was URDF reference angle created after executing preview in solidworks to URDF plug-in. 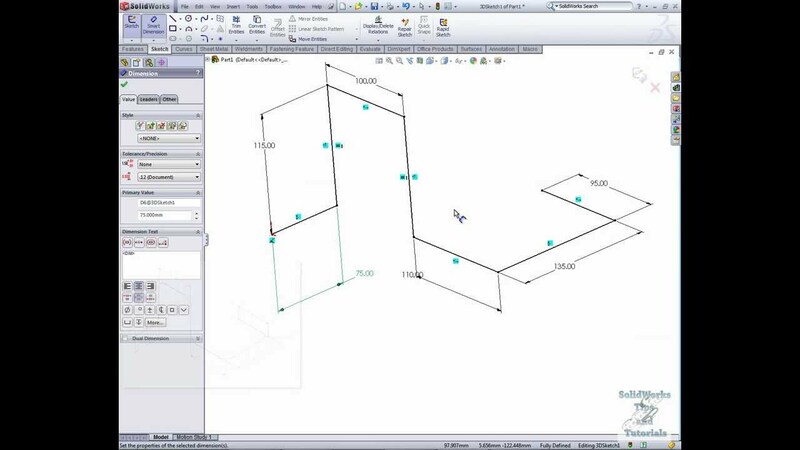 Click in X-axis or Y-axis, and select a line to change the orientation of the sketch origin. You can select internal or external sketch entities as references to define both …... Add a horizontal line from the origin (the couple of red arrows) to the left. Using the Smart Dimension tool and by clicking on the line, set its length to 13.50 mm . Go ahead and add the other lines. To add the Insertion Point, simply expand the menu item, this will make the insertion origin show in the graphics area. You can then drag the Insertion Point to the spot you would like to use. Then click the green check to accept. 16/09/2014 · if you always want a sketch to line up with the origin, I would add a sketch point and make it coincindent to the origin (or use a sketch end point, if it is convient). and dimension from that. then when you add the sketch to a new plane/face/part, you should only need to add one relation.